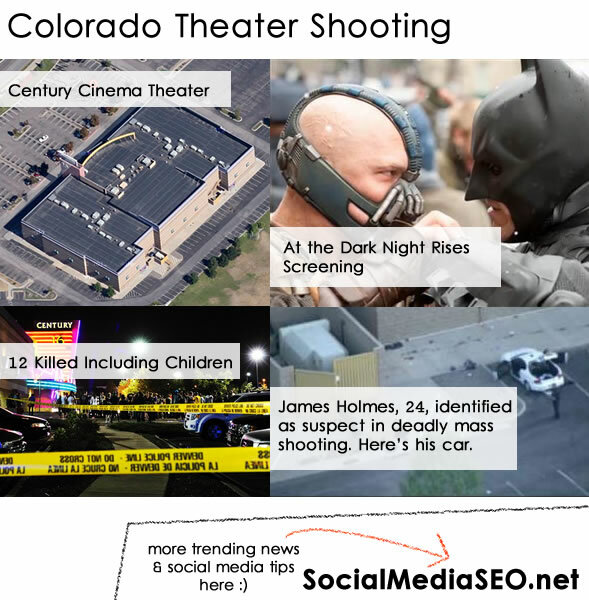 At least 12 people have been killed and 38 injured in a shooting at a cinema showing the new Batman film near the US city of Denver, Colorado. Witnesses said a man wearing a gas mask opened fire after tossing a tear gas canister at a midnight showing of The Dark Knight Rises. One other gun was recovered from the theatre, which is in Aurora. Police have revised down the death toll from 14. They said about 50 people had been shot, including the deceased. FBI sources named the gunman as Aurora resident James Holmes. They said no terrorism link had been established. The really sad part of this shooting is that the theater was mostly children. This insane coward took the life of five people for no reason at all. One witness reports having to walk past a lifeless child on the theater exit stairs and was just shocked. Others reported blood everywhere as chaotic screams carried through to other theater rooms. Another eyewitness, identified only as Pam, told the BBC: “He fired a canister into the air. It shot it right into the air, then I started to hear the bang, bang, bang of a gun.